Too many years ago now I went on a course at Plas Y Brenin and saw a lecture by Libby Peters the now owner of Llanberis Guides, that included a section on an expedition she went on to the Cirque of the Unclimbables, this place burnt a lasting impression on me, and in subsequent years I worked towards gaining the experience and confidence to attempt an ascent of this amazing alpine rock route. My chance came in 2001 when along with Steve Sinfeild I headed out to Canada in search of the most perfect granite free climb on the planet. 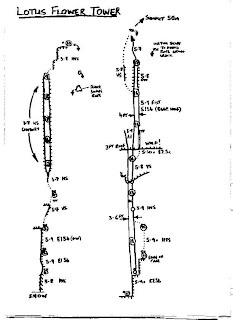 Weighing in at E2/3 overall, this route features multiple pitches of climbing between VS-E1 with one pitch of E2/3 to make it over a roof on the final steepening slab. The video tells our story of the climb, as well as a new route we also climbed. The expedition was support by the Welsh Sport Council, Boreal, mammut and DMM. If you like this film or between the rain, and would like to climb any of the routes feature then Mark Reeves can be hired as a guide/instructor through the following website. Alternatively you can visit my coaching blog to help you develop the skills you need to go there yourself. 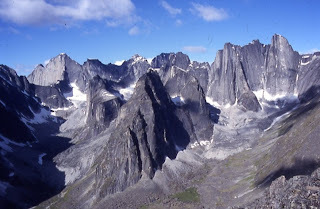 For more information on the Cirque of the Unlcimbable then visit George Bells excellent website. The Fast and the Free: Original version from mark reeves on Vimeo.